Complete Lawn may be your lawn service professionals in the spring and summer, but we stick around in the winter months too. If you’re a property owner or resident seeking northern Virginia residential snow removal companies, contact us…we’ll keep your residence clear and safe. We sometimes take for granted that our region doesn’t see large amounts of snow…the D.C. area usually sees under 10 inches of snow each winter. But when we do see storms that bring mixes of icy conditions and freezing rain, it can make your driveways and sidewalks very unsafe for you and your family. If you’re a residential property owner, you could be liable if insufficient clearing leads to falls and injuries. Even if you’re staying in through the storm, it’s no fun to burn a vacation day stuck inside your home. 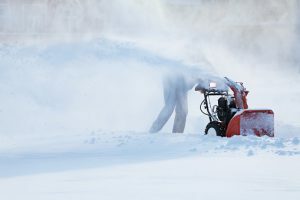 Complete Lawn can handle all of your snow removal needs, from clearing snow and ice from your driveways and sidewalks to applying ice melting products and sand for traction. Our crew monitors snow and ice forecasts, and we keep our equipment ready to go as soon as the snowfall is done. We’ll keep your exterior safe and clear, and enable you to leave and return without the headaches. Don’t waste vacation time or be stuck in your home on a weekend. Call on the residential snow removal service that residents and businesses trust. Contact us today to find out more about why we’re a trusted name in northern Virginia residential snow removal companies. At Complete Lawn, we keep your home’s exterior beautiful and safe throughout the year!